The McNeil team has been using drones for ALTA Land Surveying and much more. McNeil Engineering, a Sandy, Utah-based engineering firm makes use of a drone in ALTA Land Surveying projects and more, all to the benefit of its clients and customers. Drones are still a curiosity to many people, who associate them with military use and recreational purposes — and sometimes spying on the neighbors. But for the last three years, the McNeil team has been using drones for ALTA Land Surveying, and so much more. The team makes use of leading-edge technology in the projects it completes for its clients. According to the company, staying on the cutting edge isn't just a job, it's a passion. The applications are practically endless, as McNeil is finding more ways to use drones regularly. Getting a "top level" view helps to see things others might miss. When the company first started using a drone, it had a simple quadcopter with a GoPro camera. The drone had to be piloted by a person with a remote control. That worked well to take the higher perspective on client projects. This year McNeil upgraded to a more sophisticated drone that is capable of flying on a pre-programmed flight path. An iPad is used to create the flight path and upload the program to the drone. Among the benefits to the new drone is that it can take off and land in the same location. 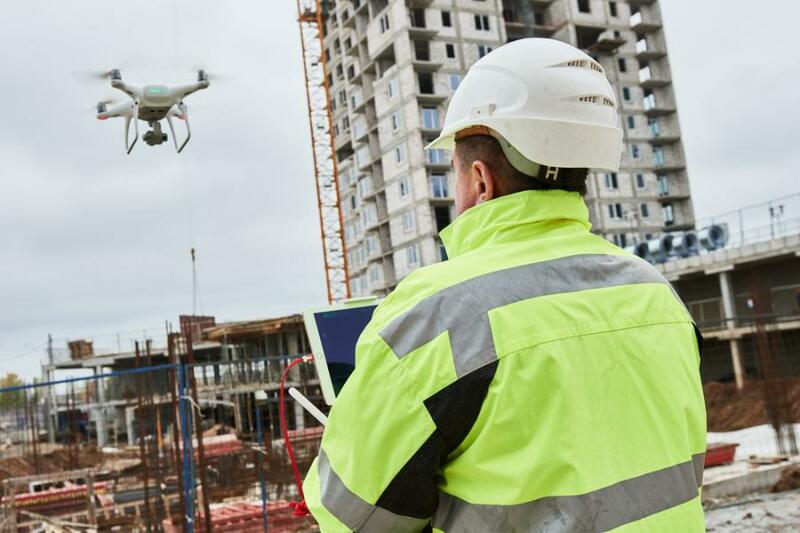 Just as the United States military makes use of drones for inspections, aerial photography and video, and GIS mapping, so too can McNeil Engineering make use of the drones for a variety of applications to the benefit of its clients. The team also uses drones for mapping purposes, making use of multi-spectral cameras and laser scanners to create high-quality 3D maps. The scanning services are used in projects including historical preservation, transportation, mining, forensics and insurance investigations, and horizontal and vertical construction. The company can create archival point cloud models, 2D CAD drawings, 3D CAD/BIM models and more. For more information, visit mcneilengineering.com/.